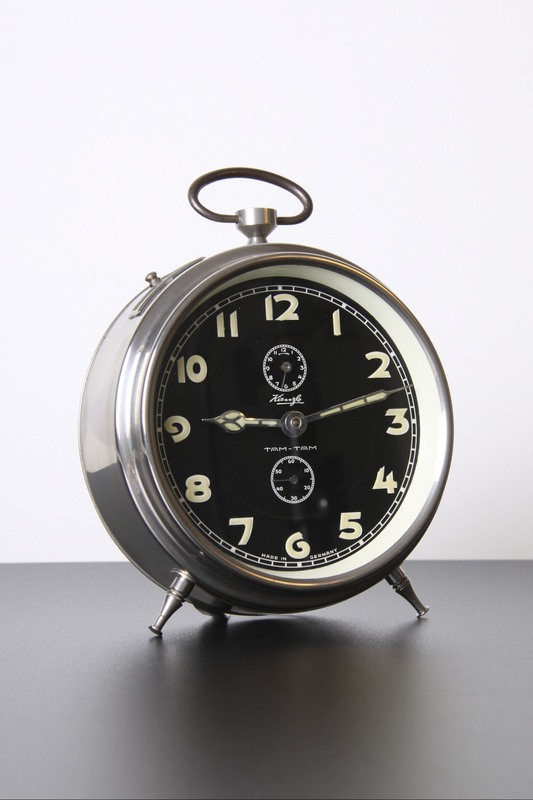 This is a Stunning and Rare Kaiser Mantel Alarm clock, made in Western Germany circa 1955. A Great Vintage design, owing much to the Hollywood Regency / Mid Century Modern styles of the era. 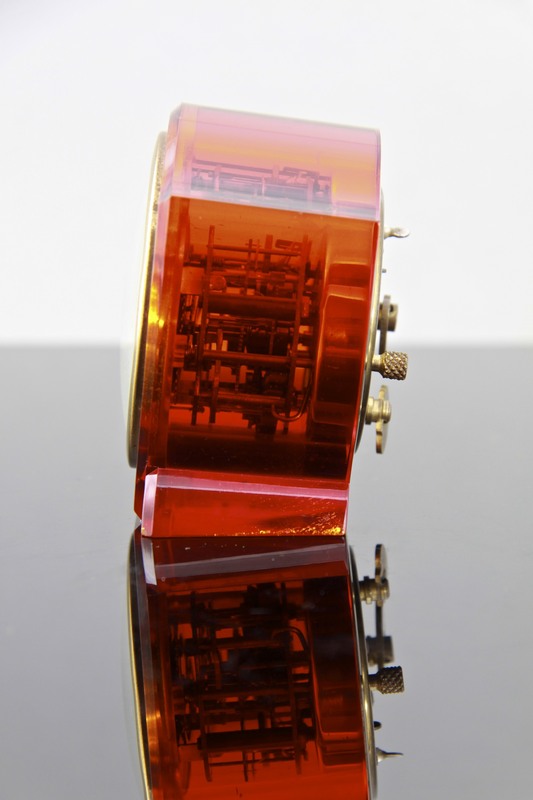 A Very Ornamental clock, made of cream bakelite / plastic. A stepped pedestal base sits on 4 brass feet, 2 pillars sit on brass rings and are topped by brass finials. Suspended between them is the intricately decorated dial, very Rococo and Kitsch. The alarm is sounded on the two brass bells by the suspended arrow, and is very loud! 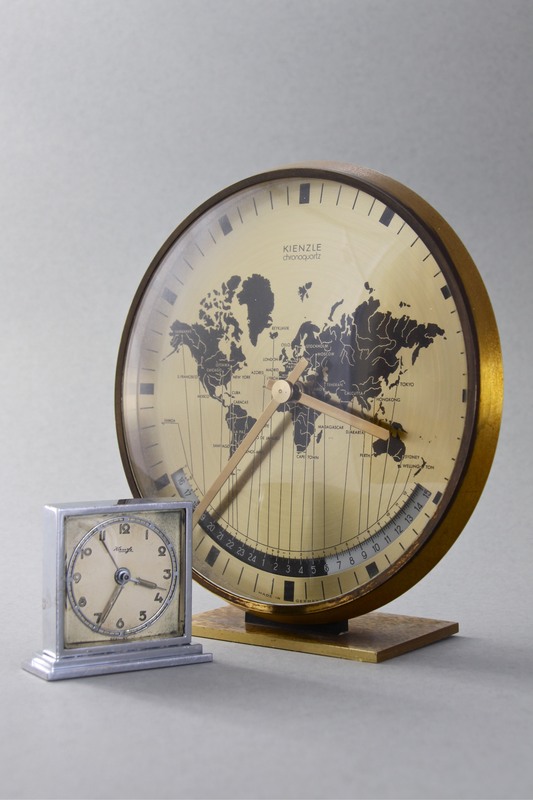 A Beautiful clock, perfect for a mantelpiece, desk, sideboard or bedside. 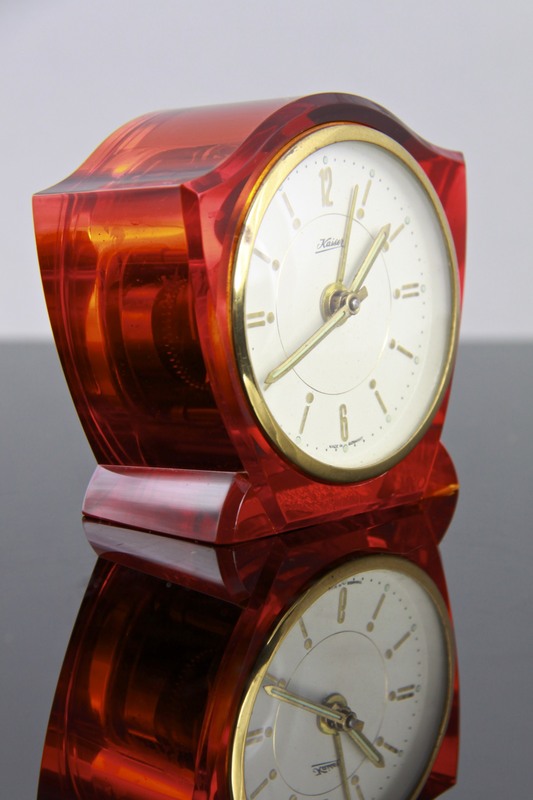 Its Vintage style would complement any richly decorated, opulent, retro mid century, 1950’s interior. 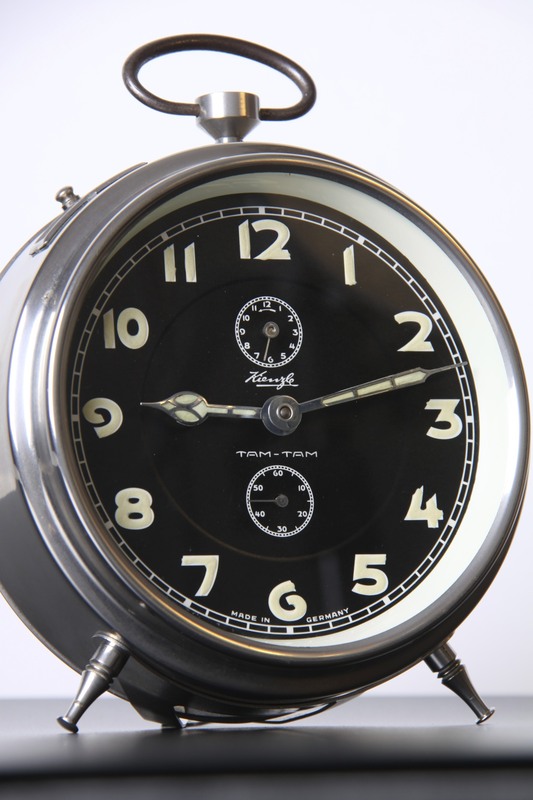 In Excellent Condition, Fully Working, the rim of the clock face is a little tarnished, nothing to detract from the overall Stunning look. Measures 14 x 11 x 4.5cm / 5.5 x 4.5 x 1.75in.